Poor spelling aside, this is a fairly neat but largely unknown platforming series that offers some solid run 'n' jump action alongside a unique visual style that resembles original Gameboy titles. While the game is certainly less than original, it scores some points for its unusual but appealing graphics and main character and is certainly an interesting alternative to the likes of the hideous Rallo Gump. 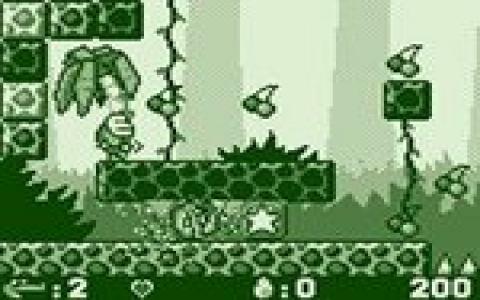 If you've ever played Super Mario Land on the Gameboy, you'll know pretty much what to expect here, with the minor exception that it's Alex the Allegator who is out to rescue his girlfriend, Lola, rather than Mario and Princess Daisy being the stars. Alex can deal with enemies in the traditional fashion, by jumping on them, but dotted around the levels are also switches which send him spinning around at high speed, knocking down bad guys while also allowing him to cross large gaps that might be otherwise tricky to jump over. There's not much else in the way of innovation apart from this feature, but in most respects the game is still pretty successful. Levels are well designed and full of charm, thanks to the fantastic Nintendo-inspired visuals which really help the game stand out. It is a little slow moving unfortunately, so those players used to the fast-moving likes of Sonic will find the action a little pedestrian but it's still fairly enjoyable. One extra feature that does add some interest is the level editor which, while slightly limited, makes for a nice diversion. 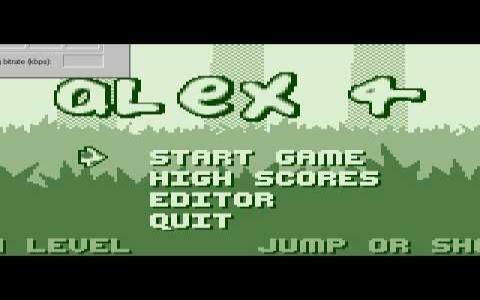 Overall, while Alex the Allegator is far from a classic, it does help you while away a few hours down memory lane and brings a smile to your face while you play.